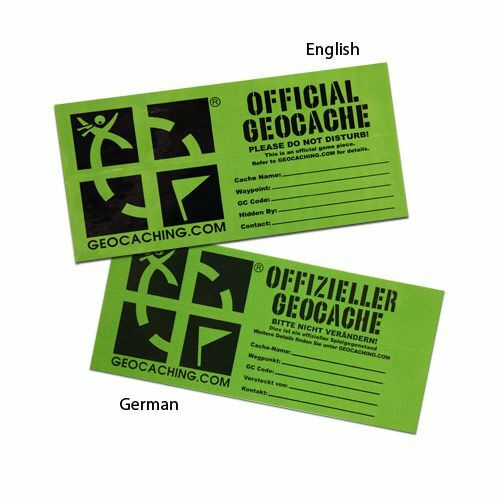 This 5 x 10 inch Geocache label is a great way to immediately identify a geocache in the wild. The material is durable 1ml vinyl with a permanent adhesive. This sticker will fit nicely on tupperware containers or standard ammo boxes and it has a location to write in your cache name and contact information in permanent marker.